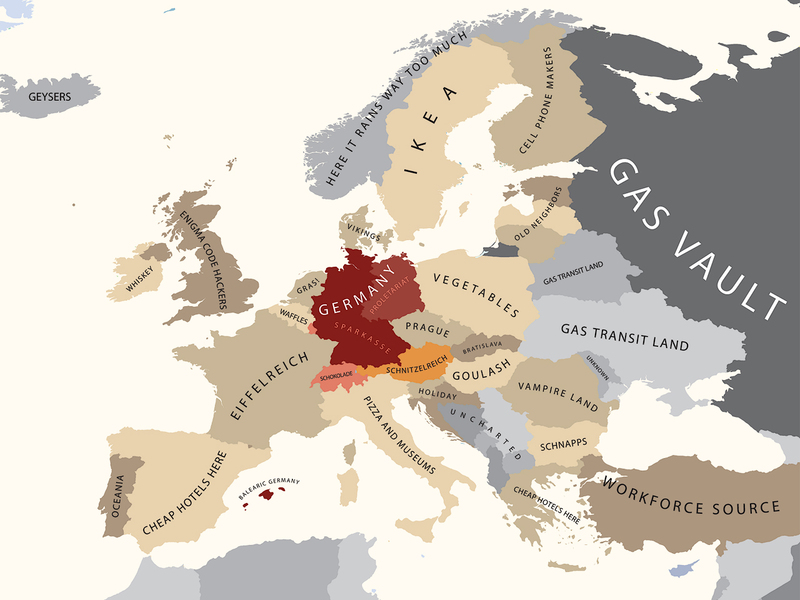 Europe according to Germany Map. Digital illustration. 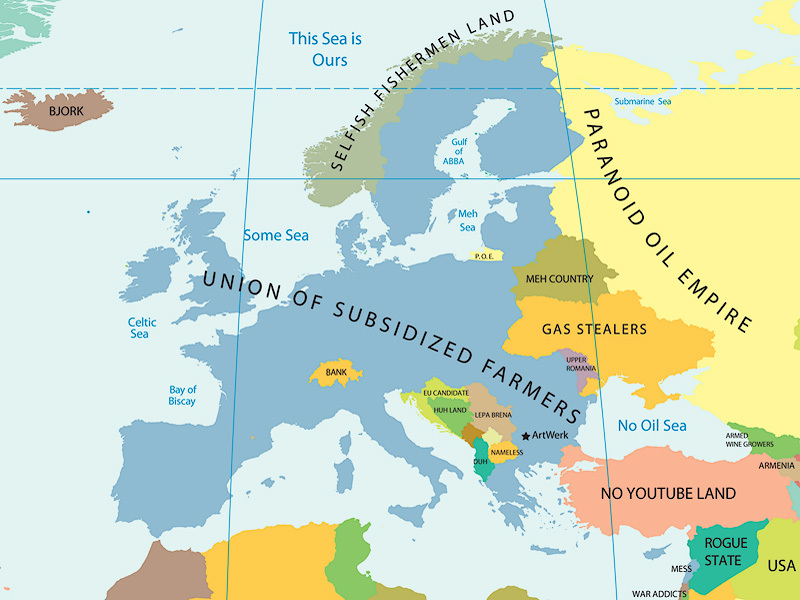 Europe according to Italy Map. Digital illustration. 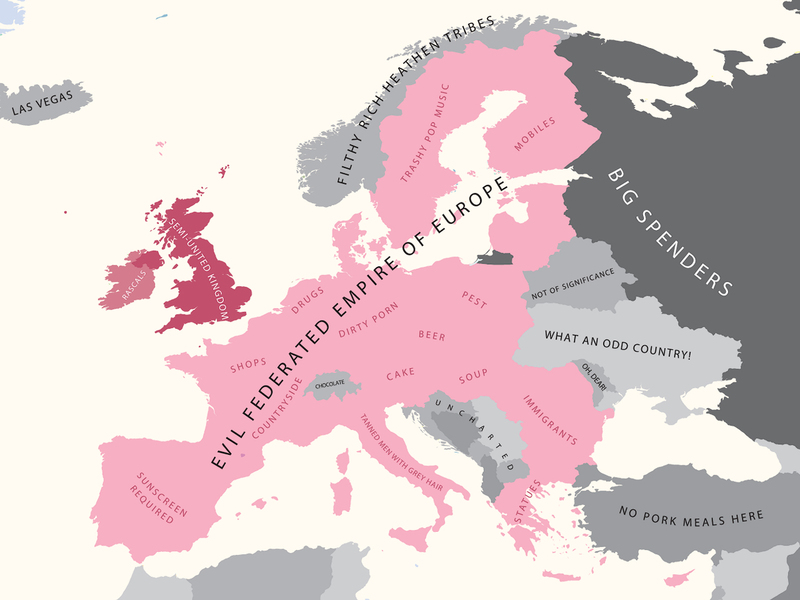 Europe according to Britain Map. Digital illustration. 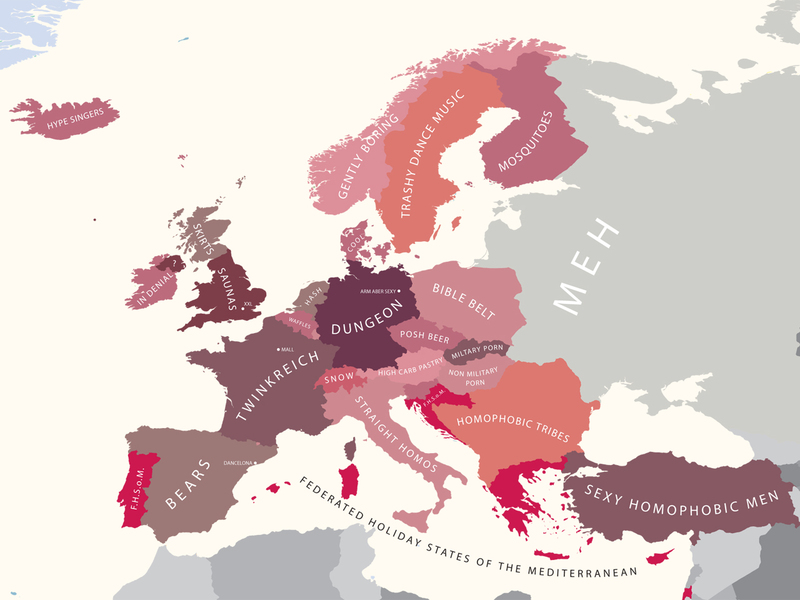 Europe according to Gay Men Map. Digital illustration.